Premiers welcome the federal government’s commitment to new infrastructure funding. 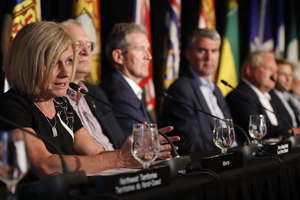 This reinforces the economic growth, productivity and job creating capacity of infrastructure as a key pillar of Premiers’ economic vision for Canada. This funding builds on provincial and territorial investments, which have set the foundation for Canada’s economic growth and strong, prosperous communities. Provinces and territories have identified priority projects and are committed to working with our funding partners in getting projects up and running. 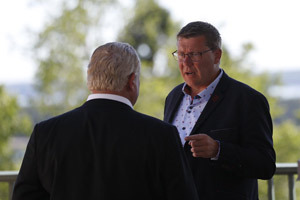 Premiers are also looking for flexibility from new federal infrastructure programs to support sound infrastructure planning, and to ensure that funding rolls out within a reasonable timeframe, including this year’s funding. 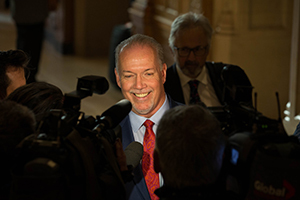 Premiers call on the federal government to work with provinces and territories to provide fair and flexible funding arrangements that reflect the priorities and fiscal plans of provinces and territories. 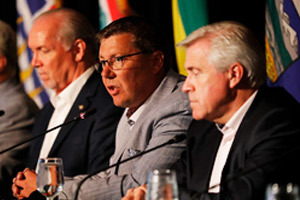 Premiers agreed that federal infrastructure programs should follow a ‘base-plus per capita’ formula. These arrangements must also leverage the expertise of provinces and territories, and deliver the greatest impact for Canadians. Innovation, productivity and competitiveness are fundamental building blocks of a strong, diversified economy that promotes growth and creates good jobs for Canadians. 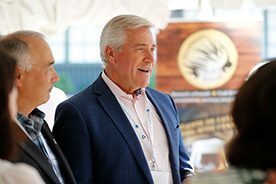 Canada’s Premiers understand the importance of innovation and the role provincial and territorial governments play in fostering a culture of innovation and commercialization that supports thriving businesses and breakthrough research and development, inspires young people to create new ideas and encourages broad collaboration. Through the Economic Productivity and Innovation Working Group, Canada’s Premiers will continue to explore opportunities to enhance productivity and innovation, identify best practices and strive to close the gap between innovation and commercialization in an effort to bolster long-term sustainability and economic prosperity. Provinces and territories also welcome the federal government’s commitment to develop an innovation agenda and look forward to working with them on this important shared priority.